A company's stock market performance and profitability is tied to its cash flow. Therefore, a company with a positive cash flow will be profitable while a company with negative cash flow will not, regardless of the billions of dollars in sales that the company may generate. The stock market today is a place where people can exchange things of value; people exchange shares of a corporate ownership for money. As an individual investor or trader in a very large marketplace, your first goal should be simple: to keep your head above water. After that, you are out to make a profit on your investment. The stock market is one of the purest expressions of capitalism in the modern world, and a great result of the free market system that drives the world economy. The free market system, capitalism, is at its core an economic system based upon the continuous and unbridled pursuit of capital, otherwise known as money. Today's stock market performance and system is quite productive, very efficient, and produces a lot of wealth. 1. When you sell your existing shares back on the market, trade them back, and the price of the individual shares is higher than what you had bought them for, the money you earned is known as a capital gain. Capital Gains on a stock is what drives the stock share price. As those companies have prospered and grown and developed new products and services, the share value has risen. This is where investors find real profits. 2. The other way is earning profits through stock dividends. A dividend is a payment issued by a company to distribute to shareholders. When a company becomes very profitable and stable, its leaders may decide to pass along some of the profits to its shareholders. 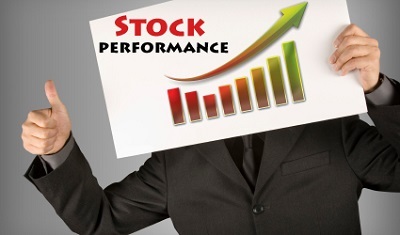 Some investors look only for the best dividend stocks for their stock market returns. Many large Institutional shareholders, such as pension funds, won't even invest in a company if it doesn't provide its stockholders with some dividend income. Return From "Stock Market Performance" to "Nuts & Bolts Stock Market Information"
Return From "Stock Market Performance" to the Home Page: "Stock Market For Beginners"